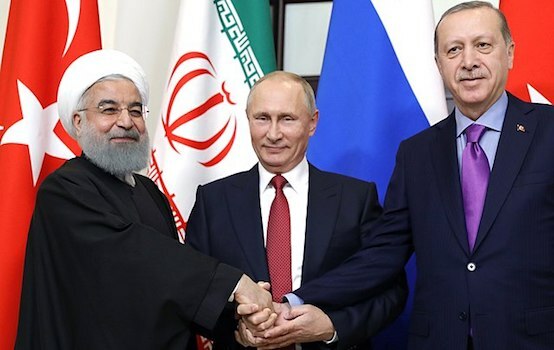 The unsuccessful attempts to overthrow the Assad regime are increasingly moving Israel to center stage, and the footdragging on Syria is significantly hindering a decision on what is perhaps Israel’s key foreign policy issue: Iran. In a late July speech at the the National Security College’s graduation ceremony, Israeli Defense Minister Ehud Barak said that the international community’s failure to deal with Syria shows that Israel can rely only on itself. Then the Israeli media took up the theme of preventing Syrian chemical weapons from getting into the hands of terrorists with everything that implies. The reason for that was a statement by Nawaf Fares, a former Syrian ambassador who defected to the opposition. During an interview with the BBC in London, he said the Assad regime could use chemical weapons. The fact that Fares had also been director of intelligence and a senior party official gave his statement greater weight. Israeli Foreign Minister Avigdor Lieberman reacted immediately. Predictably, he drew a connection to Hezbollah, which was a particular irritant to the Israeli right after the Second Lebanese War in 2006; he said the transfer of chemical weapons to that organization would be regarded as nothing less than a casus belli. Damascus called that statement “infantile and hasty” and said an attempt by Israel to destroy Syrian chemical weapons depots would also be seen as a casus belli, and Damascus would have to respond in kind. However, Hezbollah seems to be well on the way to becoming a trump card in the great Syrian game. Israel’s sensational air raid on a Damascus suburb the night of May 5 provides clear confirmation of that. Apparently, Israel is really tired of passively waiting and idly watching as its Western allies and the Gulf monarchies dawdle about with the Assad regime to no avail Indeed, Tel Aviv is convinced that it is time to do something about Iran because Iran is what “liberal democratic civilization” fears most in the region. Friedman believes that the place to block Iranian ambitions should not be Iraq, where Iran already has the upper hand. It should be Syria. Therefore, everything possible must be done to overthrow Assad. And it must be done quickly. According to Israeli intelligence assessments, Iran is close to developing nuclear weapons, which would threaten Israel’s security. 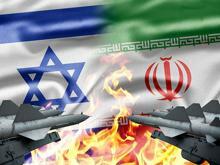 Consequently, the Israeli government is convinced of the need for a preemptive strike on Iran’s nuclear facilities. The optimum route for making such an attack probably lies through Syria. The inability of the West and its Middle East satellites to deal with Assad’s uncompromising regime seriously annoys Israel’s leaders on a daily basis. They could, of course, take a chance and try overflying Syrian territory without waiting for the current Syrian government to be overthrown. Especially since Israel has already succeeded in doing so twice: once in September 2007 when the Israeli Air Force bombed a Syrian facility where a nuclear reactor was presumably under construction, and again during the early May airstrike on a Damascus suburb mentioned above. However, this was before the hotly debated sale of Russian S-300 systems to Syria came up. Judging by Israeli Prime Minister Benjamin Netanyahu’s behavior in Sochi, it igreatly concerns Syria’s neighbor to the southwest.. However, even that probably is not the Netanyahu government’s main headache with respect to Iran. After all, recent recent military conflicts show that objectives are virtually unachievable by air strikes alone without a ground operation. With its foreign policy focus on Syria, therefore, Israel apparently no longer wants to attack Iran but rather to involve other countries in its campaign against Iran, primarily the United States. And Washington evidently does not much want to get involved in a totally unpredictable Iranian campaign and is placing its hopes on the “miraculous” impact of tough economic sanctions. Given that under the circumstances it would be very difficult to push the current US administration into a war with Iran, harping on the “chemical” issue and the proliferation of heavy weapons and air defense systems among Islamist organizations along Israel’s northern border gives Tel Aviv an excellent justification for lighting the fuse for an attack on Syrian chemical facilities (and other strategic facilities surreptitiously) in hopes of smoothly segueing into a military campaign on Iranian soil. Vitaly Nikolayevich Bilan holds a Candidate of Science (History) degree and is an expert on the Middle East. 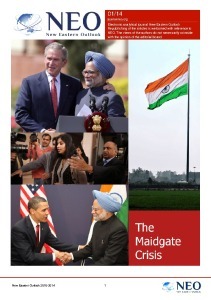 Exclusively for New Eastern Outlook.